We are hard at work on new palettes. Each palette needs to represent a fresh collection of four finished fragrances that also work well together.... that is the key. It is not enough for each to smell wonderful. They need to possess attributes that allow them to take on even more wonderful characteristics when they are worn together. 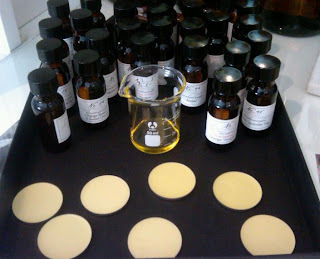 The seven finished fragrance discs above are the top contendors for one fragrance. We started with about 35 variations! Please don't misunderstand. I do not see this as a problem. A wonderful challenge is more like it! 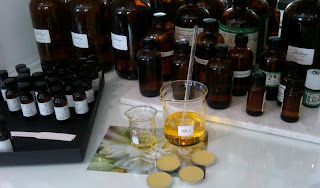 A few things about Melange Perfumes. 1. 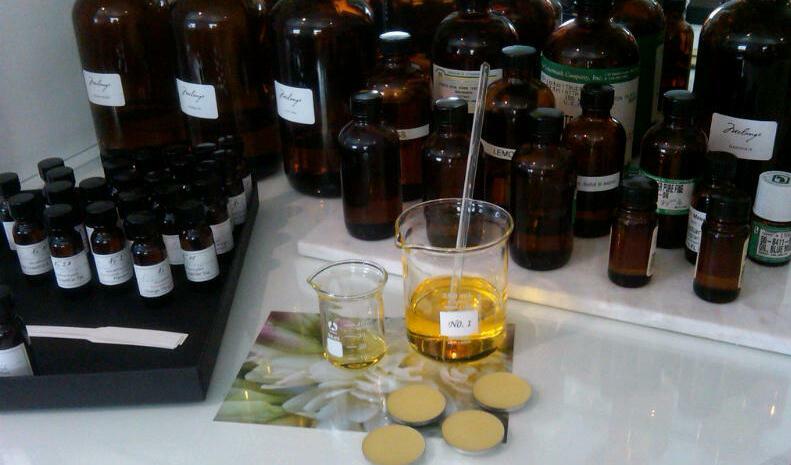 We build our fragrances in-house. What does that mean? We do not order a bottle of fragrance from a lab and pour it in wax. We formulate all of our blends here. Note by note. Bottle by bottle. We think you are worth it. 2. We hand-pour. Machines never get it right. I speak from experience. 3. We believe in small batches. I dont want to wear a bottle of perfume that was poured 10 months ago and left on a shelf until I ordered it. You shouldn't either. 4. We think the perfect fragrance for you is the one that makes you happy. That is why we encourage you to use your own creativity and blend (melange!). 5. Perfume should be accessible. What does that mean? It shouldn't cost a fortune.